A deployable, low-powered telemetry network applied as a risk management tool for adventure tourism operators. Tours and Bushwalking trails are the strongest growth segment of the adventure tourism industry in Tasmania. With increased international visitation presenting significant language and cultural barriers, our tracking and risk management system provides an easy to use and understand system for ensuring the safety of walkers, while providing analytics that can be applied to improve the customer's experience when undertaking a guided tour. 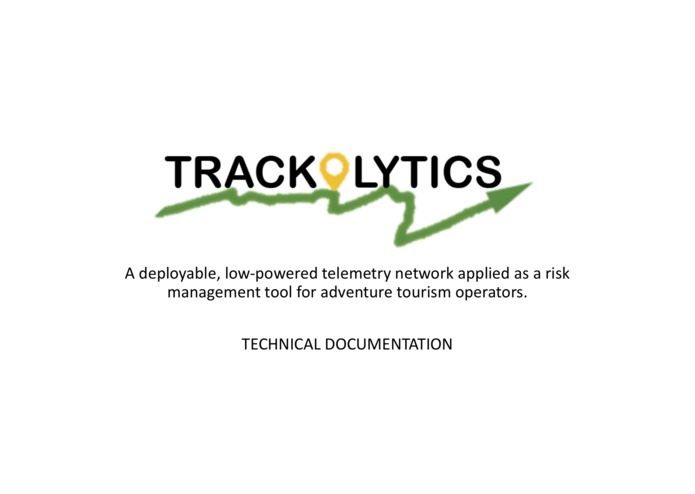 Trackalytics provides regular vitality and tracking data for tour operators in the adventure tourism industry and forms an integral part of the operator's risk management system. Operators can input their track data into the application and view their customers location with powerful analytics that allow operators to forecast track maintenance, identify high traffic areas and rest stops and any other function between the data points.. This information gives operators the ability to optimise their customer's experience to the finest details. Trackalytics is able to be linked with existing third party CRM systems. By doing this, tour operators can continue the relationship off the track and suggest new adventures for the customer based on their previous track data. First, we identified the parameters of the system. *It had to be easy to use and understand by the end user. 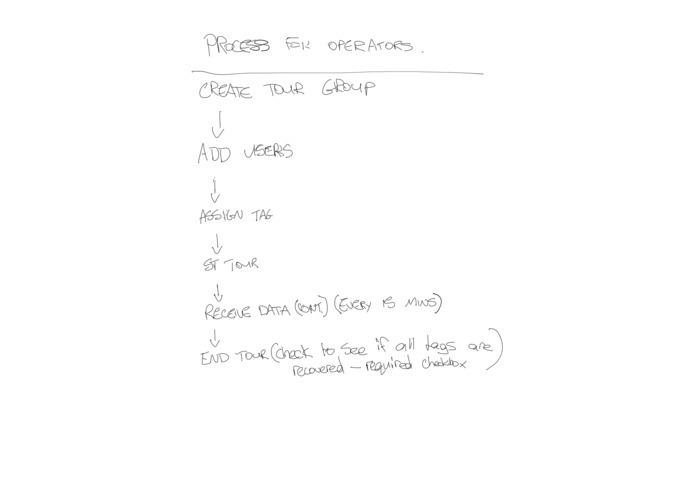 *It needed to ensure the user had communication to the operator in an emergency. *The operator had to be able to view all of the data captured in a meaningful way. Once we had identified the parameters, we identified the data and what relationships between the data sets were actually telling us, for instance, by plotting the change in heart rate against location data we are able to identify areas of difficulty along a route. One we knew what we wanted to display to the operators, we set about designing the interface and tying the software together in line with its intended use case and value propositions. Identifying the channels in which we would position our product in the market and identifying the strongest value propositions for the users. 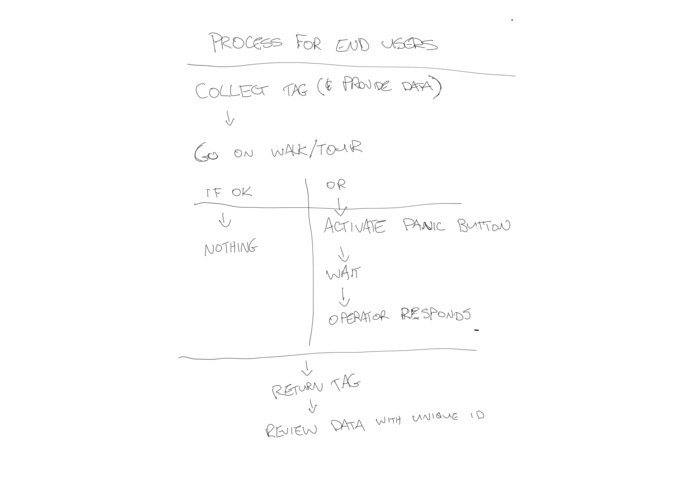 Identifying the sentiment of different partners and users towards the product and its usefulness. Working together to research, collate and corroborate information. Making the effort to travel to different locations to make our video pitch! We learned a great deal about the effectiveness and limitations of radio telemetry. 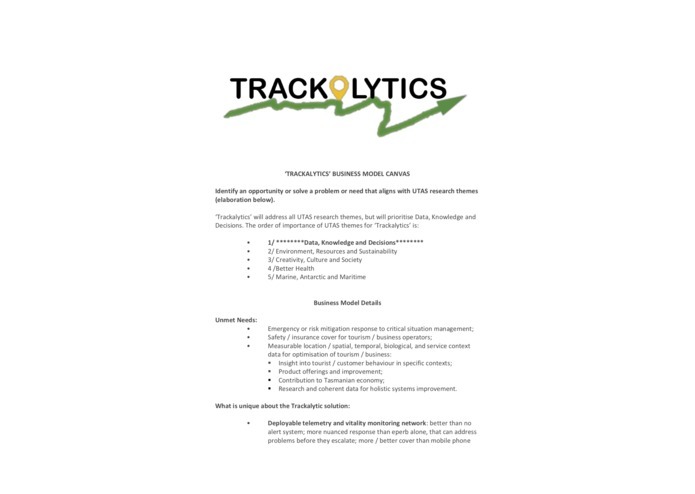 We learned how to apply knowledge from human systems to technical systems, and..
Trackalytics hopes to position itself as the leader in adventure tourism analytics and tracking systems, risk management and integrated CRM for holistic tour management within Tasmania. Once our technology is proven in the Tasmanian environment, we wish to take our product to international markets, with our first identifiable market being in South Africa, after the need for location based analytics was communicated at the IEEE conference 2017, in Johannesburg. I worked on some business development, produced the technical documentation and all of the media for the project. I worked on the backend, leveraging the Azure infrastructure. I built the database and REST API using .NET Core and the Entity Framework, and finally integrated the live data into the web-app. I worked on the web-app front-end, using Angular to create the visual and functional elements of the project.